Skinny Meg: Thirty- One Giveaway! I love bags- just ask my husband, they are EVERYWHERE! haha. My only stipulation is that they are cute and Thirty-One bags are my favorite! I have several, but my absolute favorite is the lunch tote!! It's the PERFECT size to haul all my food to work for the day and I love that it has my name monogrammed on the front. You can browse the catalog here, they will have you dying to organize your house, car, and life! Through the month of July for 31 dollars you spend, you get 31% of any item in the catalog. Today Brittany is giving away a Fresh Market Thermal Tote in Navy Pop! I love my Market tote, and have been itching to buy a second. Maybe this will save me some moolah. I have three of the large utilities I keep in the back of my vehicle at all times. Love Thirty one!! 31 is probably my FAVORITE direct sales company! :) They're product is simply amazing. 31 is probably my favorite Direct Sales company ever!! Their product is simply amazing! Always great quality and an even better price!!! I could use a little organization in my life! The Organizaing Shoulder Bag first caught my eye - so cute! I love that lunch bag! I'd love to win that tote bag to use on trips to Sam's. I'm thinking the "retro metro" bag would be a great new camera bag! I love the Inside-Out Bag!! Party Punch inside out bag! I LOVE the new chevron print! So excited about my new bags I just got last week! I LOVE the Inside-Out Bag! I love the thermal totes! I want the lunch tote!!! I would love the large utility tote! We use the organizing utility tote for our diaper bag and its the best one I've ever had! I love the inside out bag in party punch. Such cute stuff! Gotta love'em. I have the thermal tote in Zebra print! I used to sell Thirty-One and my all time favorite item is the Large Utility Tote!! I'm in love with the punch bowl thermal tote! I entered! I love 31! Love the lunch break thermal! My favorite is the Retro Metro tote. I have two and and wish they'd come out with more prints for them! I would love the lunch tote too. I'm a teacher and take my lunch and snacks every day. And its big enough to hold my big salad bowls! I own my own spray tanning business and I am in love with the large utility tote! I hauls everything so nice!! I need that lunch tote!! Love love love the utility tote but really I love all of the 31 stuff! The Easy Breezy Tote! Love it! Love Thirty-One & love your blog! I love the Inside Out Bag in Party Punch & Turquoise!!!! :) Have a great weekend! Happy weekend, and thanks for hosting another awesome giveaway! Hi PregMeg! 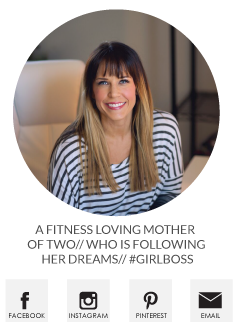 <3 LOVE your blog and I'm so happy for you and your new adventure! 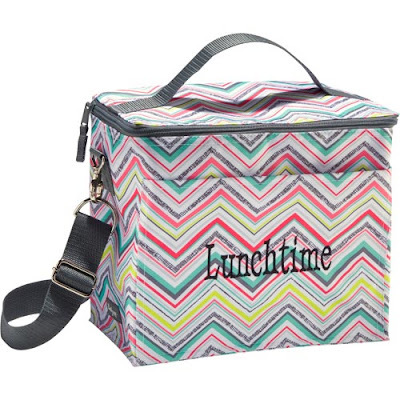 I would LOVE a matching lunch box (in the chevron) with my large utility tote - I just recently purchased it and absolutely LOVE it and would love a little lunch companion! :) Thanks for posting and sharing. Love from west Michigan! I LOVE THE PARTY PUNCH WALLET. So SO SO much!! I'm thinking about hosting a party so I can get the hosstess exclusive Organizing Pack. I love it! I LOVE THE PARTY PUNCH WALLET! I really like the Out N About Thermal lunch tote and it comes in cute prints! I love thirty one! I have a few bags and my dog destroyed my lunch tote, so I need to replace it! I LOVE my Thermal totes. We are on the boat a lot, and they are the perfect size without always being in the way!!! I am loving the easy breezy tote! I love the Easy Breezy tote. I want to fill it with pool supplies and gossip magazines and hang out by the pool all day. I actually don't have one of those totes so I'd love to win it! I am desperate for a new lunch bag! Love my Thirty-one Products and I have a growing collection! Love thirty-one! I have been dreaming about the retro metro weekender! I like the skirt purse. It would be nice to be able to change the look of the purse without having to buy a whole new purse each time. I love the thermal totes. It is easier to pack a lunch when you have a cute bag. I love the out and about thermal. soooo convenient! keeps my 3 year old happy and her juices/milk cold! ;)should work good for breast milk toting too!! I love the large utility totes, especially the Black Floral Brushstrokes! I'm not sure if my comment posted, but my fav is the easy breezy tote! :) thanks for the giveaway. Love the stationary and weekender! I would use the Out N' About Thermal in Black Floral Brushstrokes EVERY day for work. Oh...such cute stuff! My favorite 31 item has to be the Large Utility Tote! My favorite 31 item would have to be the Large Utility Tote! Great giveaway ! Love the retro metro weekender !!! I would love the Elite Metro Retro! Loving the large utility tote in turq! I have a large tote from 31 that I love! I have been wanting more things but having just graduated I should probably get a job first! The lunch tote too. Other bags are too small and this is perfect for all of my snacks, lunch, etc that I have to haul in. I adore the big lunch tote. I pack a LOT of food for work to fight off hunger (aka lots of veggies and fruits) and it has plenty of room!!! I love my makeup bag from Thirty One! I love the lunch tote!!!! I love the thermal tote in punch bowl!! Easy Breezy Tote in Best Buds. So cute! Room for Two utility tote!! I love the skirt purse!!! Thanks for the chance to win!!! I love 31 stuff, but am usually too cheap to buy too much at a time from them. I've been waiting to go to a party to buy a thermal to keep in the car for the summer ;) Hope all is going well with you and your pregnancy. Thank you (and Mama Laughlin) for the motivation you are constantly giving myself and probably thousands of others!! You two should become personal trainers!! Or make a fitness DVD or something! Thanks again!! I am totally loving the Retro Metro Weekender. I too have an addiction to bags and my husband is so great he doesn't even mention it when I bring a new one home. I love the large utility tote and the out n about thermal! PregMeg!!!! Omg I'm totes excited for your newest bundle of joy! Will you find out the gender? Does Twilight Sparkle voice her preference? praying you have a safe and healthy pregnancy! Oh and I love 31 products too!!! great giveaway! i love the chevron inside out tote. I'm loving my retro metro tote!! It's been great for loading up drinks, snacks, and whatever else I need to keep my little one entertained while his big brother has t-ball games. Sorry!! Forgot to say I love the retro metro and pro duffle bag, but have several small bags for odds and ends! My all time favorite is the large utility tote! I scrapbook, so it is great to haul a bunch of my scrapbook crap! Love my 31 bags, too! I am LOVING the Inside-Out Bag in the Lotsa Dots and Island Damask prints! LOOOOOVVVEEEE!!!! I NEED that large utility tote to organize the back of my Tahoe. It drives me crazy. I like the Easy Breezy Tote! There are LOTS of things I like!! My favorite item is the organizing utility tote! I'm a teacher, and it's great compartments hold all of my teacher things nicely! My all time fav bag is the utility tote. It carries everything. My favorite item is a hostess exclusive....the party thermal!!! My favorite item is a hostess exclusive...the party thermal!!!!! My favorite bag is the utility tote. I have several and use them all the time. I also love the hamper, I just wish it came in more solid colors. I love all things Thirty-one! I hope I win! Oh how I love Thirty-One products. My laptop bag, wallet, and several purses came from that delightful catalog! You can never have enough Thirty-One in my book! I LOVE the market thermal tote. I already have one, but I would love a second! I love Thirty-One! My friend sells it so I already have way too much, but I don't have the market thermal! love my thirty-one bag!! Need more!! My favorite 31 item is the Retro Metro bag. I have one and use it almost every day. I too am a lover of 31! I would love the Easy Breezy Tote in Island Damask. It looks like it would make a cute diaper bag for my little one who is due in January! I definitely need that lunch bag... I can never fit everything in the one I have now! I definitely need that lunch bag... I can never fit everything in mine! The Easy Breezy Tote is my fav! I love being organized! I would definitely get the fresh market thermal tote! I've been eyeing it and it's perfect for the summer! I love Thirty one! I love some of the new items and would love to have the new thermal tote. i love thirty one stuff!! It's tough to pick just one thing but I love the metro retro weekender! Looks like the perfect travel bag. Love me some ThirtyOne! My favorite item is the Organizing tote which I mainly use to ship me and my kid to my boyfriends house over the weekend. But now that there are four of us taking day trips to the beach or park, etc. I would LOVE the SUPER ORGANIZING TOTE!. I love the small thermal tote! I use it for my lunch and snacks often! Such cute bags! The thermal for the giveaway is very cute - and would be awesome for trips to the store with cold stuff in a hot car! I like the "Keep It Caddy" in Island Punch - it would be great for storing random supplies in the car to keep the toddler occupied! My favorite item would have to be the cosmetic bag set! I have a lot of makeup, and it looks like the perfect size! My favorite is the Large Utility tote in Pink Cross Pop! Those totes are great for everything...think I have about 10 of them now! I love the fun colors and prints. They hold up so well too! Love all the utility bags - the Super Organizing is my fave! I totes love the lunch tote!! hahaha <---see what I did there! bwahah! have a great weekend! Love the Inside Out bag in Best Buds/Navy Cross! my fave is the large utility tote i can carry all my crapp in it for the day including my craft stuff. also useful when going to the pool. Love the large utility tote in Island Damask - such a cute patten for summer! I only have one Thirty One bag but I LOVE it. I could go for SO many more if I could afford it! I use the Retro metro tote as my diaper bag! And I love the large utility tote! It makes carrying laundry to the basement while holding a crazy 7 month old a piece of cake! I would love one of the trunk organizers! I love the five pocket bags! I LOVE the large utility tote! Also my sister got us all the smaller tote for being in her wedding - I use it ALL the time! Obsessed with 31. The large utility totes and Sinch sak for my kids are faces. I'm gonna be boring and pick the Fresh Market Thermal. I need a monstrous food carrying tote like I need a hole in the head but, alas, I love it. I LOVE 31 bags! I have a few different sizes, but no thermals....yet! :) Thanks for the chance to win! I am totally in love with their thermal products- I love their small thermal tote with the flip flops on it! I got one of these totes as soon as I became a teacher and can't think of owning another lunch bag ever! I love 31 bags too! 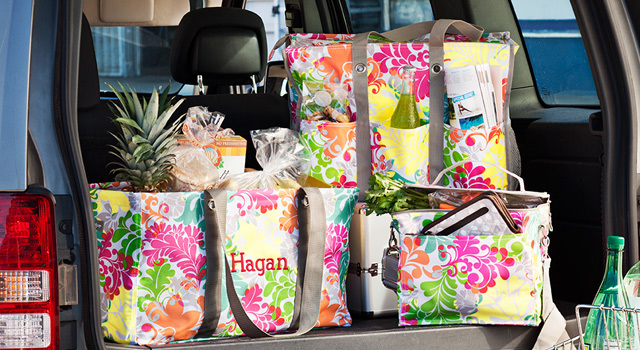 I love the large utility tote.. Would be perfect for my car!!! Lunch totes! I have 2 but need an updated one! I am now in love with the inside out bag & I reallly want one lol!! I love Thirty-One!!! The lunch tote is my favorite too! I love the Timeless wallet in the chevron print.. I like all the bags but that's what I want next.. I love the retro metro weekender! I love the retro metro weekender tote! Hands down my favorite are the large utility organizers... love love love them! I LOVR everything in the Thirty-One catalog, but I would have to go with the large utility tote! Anything in the island print is my favorite, but also love the organizing cubes! I forgot to tell you my favorite item! I love the thermal bags. I think its time for a lunch bag. Yours is great. I love 31 bags as well! I really want one of the double casserole dish holder thing! I know that's the worse description ever, but right now they are only a hostess gift right now womp womp!! I'm just hoping that they bring them out to where you can buy them!! Elite Retro Metro Bag.....so cute! Elite Retro Metro Bag........so cute! I love the Lunch Break Thermal! I love the large utility tote! Great for hauling sports gear around for my kiddos! 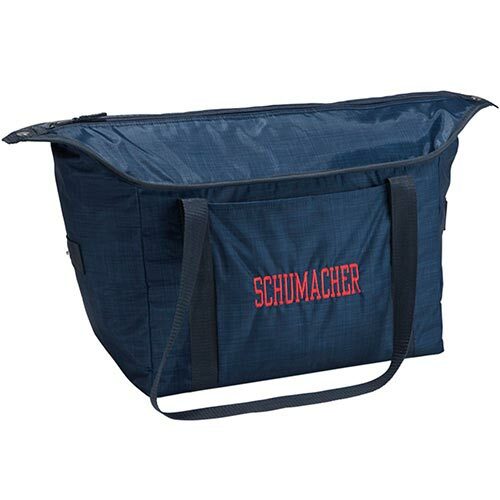 I really like the Cinch it Up Thermal Tote. Organize you say!! Heck yes!! My fav is the utility tote! I am loving the Cindy Tote, looks like the perfect size so that my hands aren't full when leaving work at night and I can put my lunch bag or whatever else I bring to work with me! Love thirty one bags! my favorite is the elite metro retro. Thinking maybe my new "diaper" bag! Love 31!! The Large Utility Tote is my favorite! !